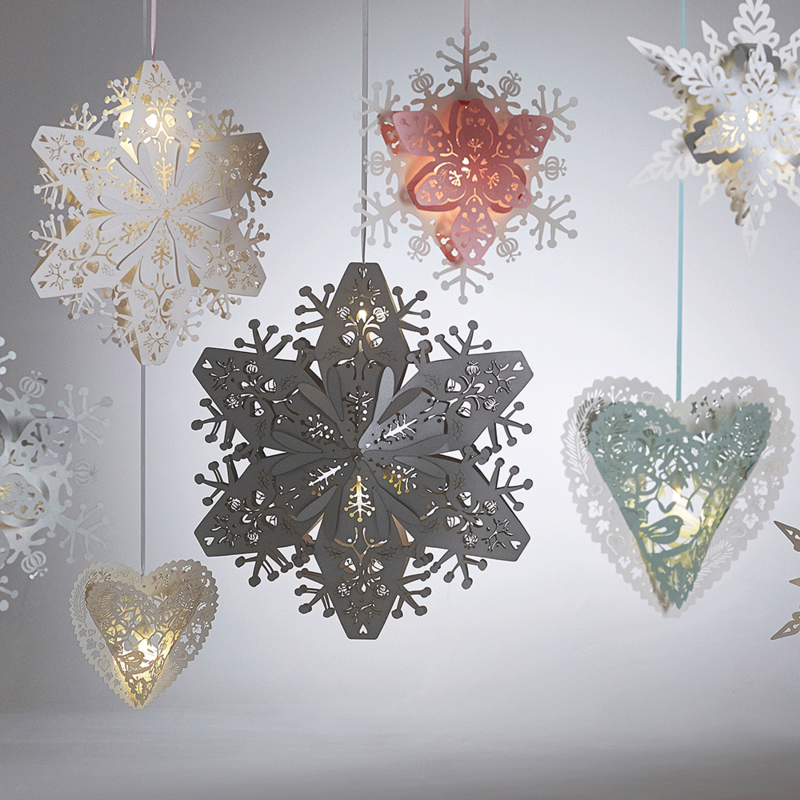 Our small silver 3D snowflake lanterns have a shimmering, sparkling finish as they are laser cut in Sussex from stunning Stardream silver paper (285gsm). Each snowflake measures W39cm x H43cm x D12cm and comes complete with a white LED Buttonlite to add an extra glow to your snowflake lantern & silver ribbon for hanging. More Buttonlites can be purchased separately if required. 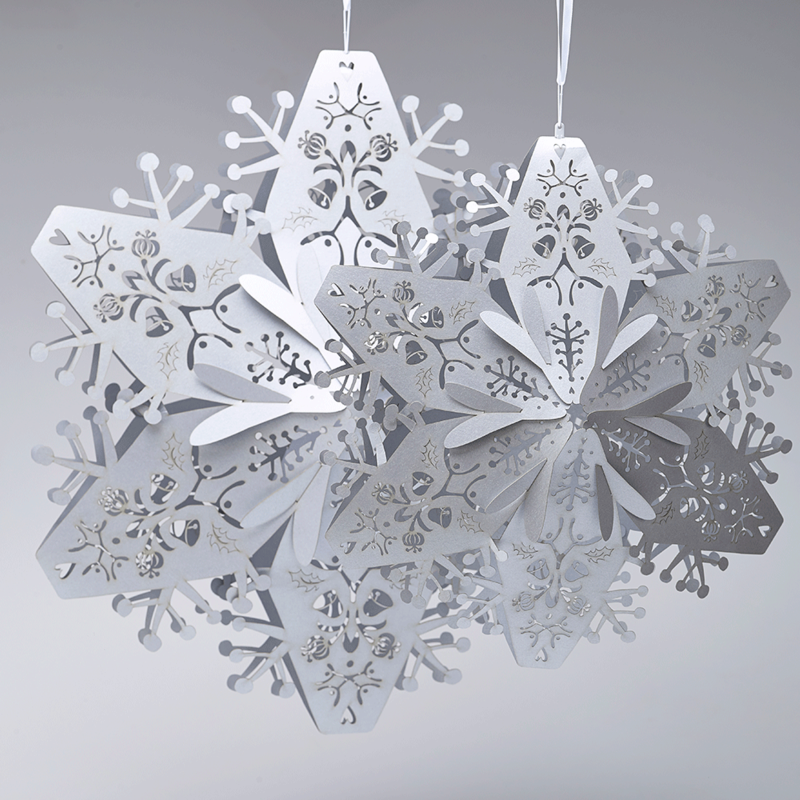 Silver snowflakes require some simple tab based assembly prior to hanging but can be stored safely for use year after year. 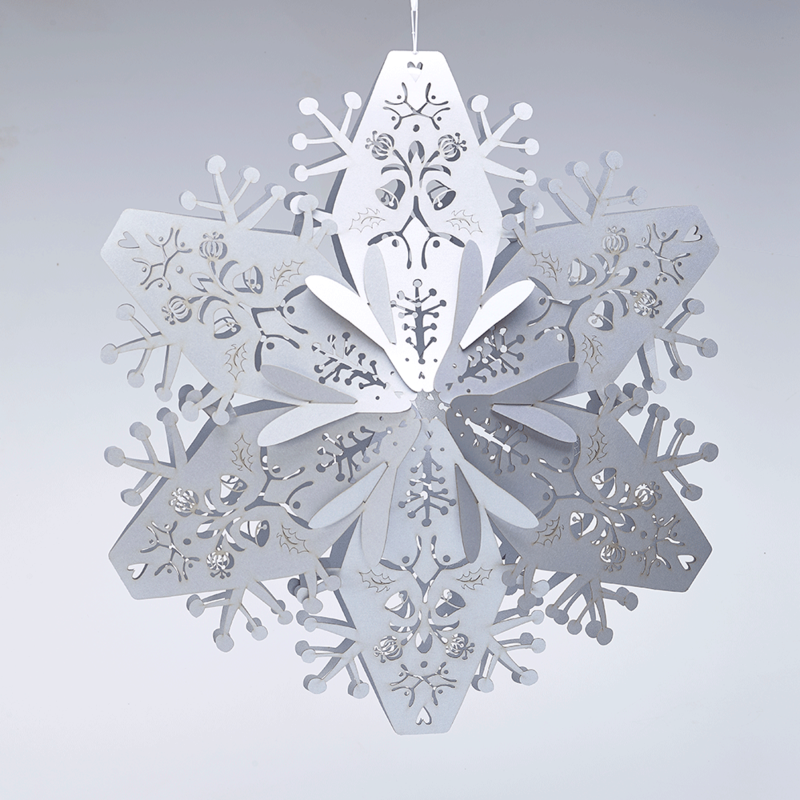 Hang small silver snowflakes in clusters of 3 to create an eye catching display.